Get 2 Free Online Sailing Courses Today! We are really pleased to announce that BlueFoot Travel has become a NauticEd Affiliated Practical Training School. NauticEd provides the world’s most advanced sailing education and sailing certifications. They offer online multi-media sailing theory courses that integrate perfectly with on-the-water practical training and experience you can get when you join BlueFoot Travel on a cabin charter. 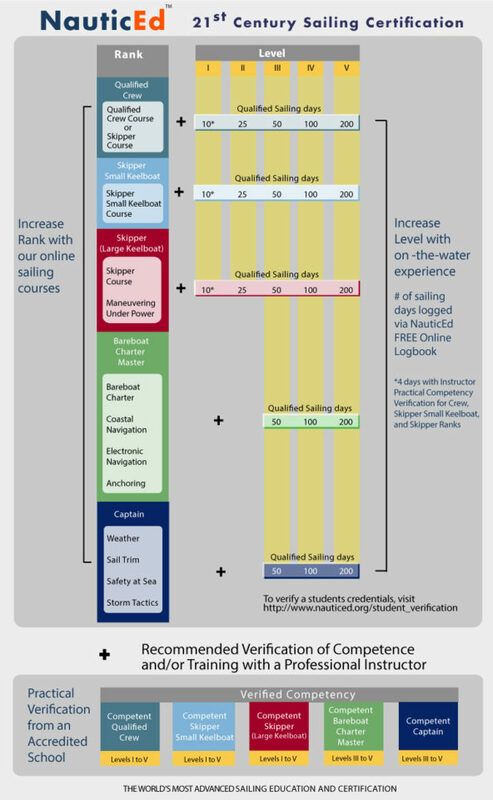 NauticEd is also an approved RYA distance Learning Centre, so it is a perfect fit for us. If you want to get hands-on practical sailing experience with an RYA Cruising Instructor and have it formally registered on a sailing resume, you can now do so with BlueFoot Travel. As always if you just want to sit back and relax on one of our sailing trips you can do that too! There are over a dozen multimedia online and mobile sailing courses for beginners through to advanced training. You can see what is on offer here. All of which can be completed in the comfort of your own home and all the courses surpass international standards. You can even try two courses for FREE today – Navigation Rules Clinic and Basic Sail Trim! In addition, you can log your on-the-water experience with their FREE electronic logbook. Simply enter your past and present practical on-the-water experience. Entries can be as simple as a day sailing with friends, the local yacht club, on your own boat, or a cabin charter sailing holiday with BlueFoot Travel. Whether you’re a new or experienced sailor it is a great way to track your own growth and demonstrate your seaworthiness to yourself and to others. And ask any bareboat yacht charter company and they will all tell you that they require a complete sailing resume; not just a certification. So, this will also help you charter your own yacht in the future too. Neil can provide you with practical sailing instruction, can sign-off your miles and issue the SLC certificate*. And you can be safe with the knowledge he has the formal qualifications. He inspires confidence, which makes him an excellent teacher and great fun to be around. Read what some of our guests have shared here about sailing with Neil. “Huge thanks for a fabulous trip from Martinique to the Grenadines. It has been so fantastic to get some great sailing in, surrounded by stunning scenery and sampling delicious food. It’s been a great combination of exploring and chilling. Thanks for your energy and enthusiasm at all times :-).” Sam, London, UK. Sam is a regular on crewed and flotilla charters. “Thank you for a great vacation. 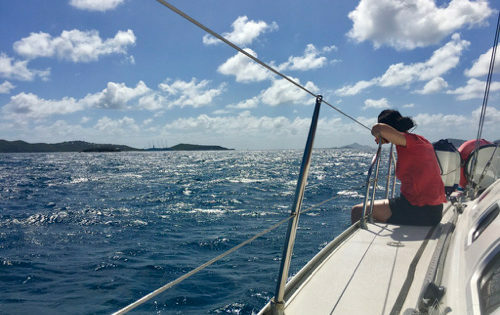 I learned a lot about sailing safely in the Caribbean and enjoyed my time on Nemo’s helm. The weather was handpicked for us and the food on board was awesome. Great trip and great times.” Mike, Hampton Bay, USA. Mike is a boat owner and a regular charterer. 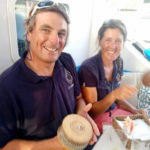 Beginner Sailors: If you are a beginner and are joining us on a sailing holiday and would like to get a bit more hands-on when you are you on board, you may be interested in taking the Qualified Crew Member course before you join us. Only $37.50! Advanced Sailors: How about brushing up on some navigation theory or even having a go at some celestial navigation? We have three sextants on board Nemo for you to practice with! Thanks for reading our sailing blog. If you have any comments or feedback on this article, please share below. If you are interested in joining us on a cabin charter in the Caribbean you can view our 2018/19 sailing itineraries and trips here. * The International Sailing License and Credentials (SLC) is a recreational sailing license valid for all yacht charter companies worldwide. 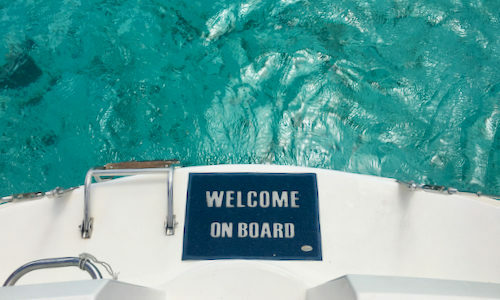 To gain an SLC, the candidate must hold a national government boating license, pass a suite of theoretical knowledge courses and tests appropriate for bareboat chartering, log sufficient sailing experience, and demonstrate sailing skills according to internationally established sailing standards. 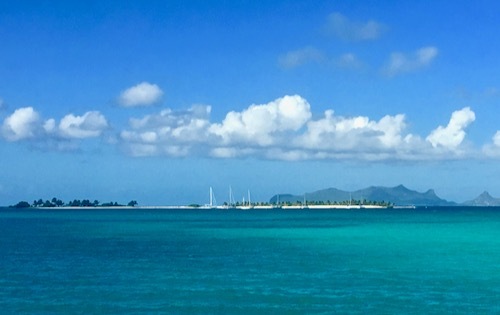 Caribbean Cabin Charter Schedule for 2019-20 “My Best Holiday Ever!” BlueFoot Travel Supports Pack for a Purpose Winter Sun And Fun. Get Your Sailing Fix!